As human beings, one of the most difficult times in life can be when we are called upon to let go of things that we once held dear. Our life is a journey which has many twists and turns, and as humans we need to be prepared to shift gears and change course very quickly. Life in the physical world can be very shocking and transient. One day, you are on top of the world, your career is firing on all cylinders and you are with the love of your life. The next, your corporation goes out of business, you are out of a job, and your spouse starts having an affair because they are only really with you for what benefit you give them. It can all be very overwhelming. As a member of the clergy, I am often faced with a client who is going through such a situation as the above. We all like to pretend that it couldn’t happen to us, but that is not true at all. The Divine Comedy that is life can sneak up on you at any time and knock you off what you thought was your path. It can be a completely devastating blow which destroys our egos and leaves us lying on the floor, asking for Divine Intervention, or it can be a spiritual quest that unlocks untold blessings. The choice is ours when we have Reiki. When a person who feels helpless in their lives begins to learn Reiki and receives their attunements, some very important lifesaving information is given to them. Most people do not understand ANYTHING about the spiritual world, and Reiki is presented in such a concise and easy to understand way that they begin to open their minds to the possibilities of being able to heal themselves and their energy, and eventually, their lives. They are co-creators of their lives with the Universal Life Force, and this energy will lead them to their True Selves, able to let go and detach from anything that is not for their highest good. On the surface, it may look like they are losing everything, but their Divine Destiny is leading the way to their highest good. Reiki allows us to rise above and look at our situation with the eyes of an Eagle. When we look down upon our lives from above, we begin to see the way that Universal Life Force is guiding us. In this space of realization, we can embrace change and tune into our Inner Knowing to guide us to true fulfillment and happiness. Reiki is such an incredible tool to help ourselves deal with all of the sometimes violent and sudden changes and transitions that our lives go through. It allows us to tune into the spiritual world, opens up our Third Eye so that we can see the Truth about our situation, and guides us in the next moves to make our dreams come true. As we tune into our own spiritual and psychic abilities, we begin to co create our life experience with the True Destiny of our souls. Reiki is an incredible blessing to all of mankind and to anyone who wishes to connect with their own Divine Truth, whatever that may be. 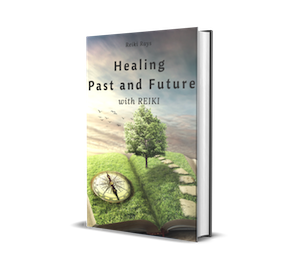 Thank you Reiki, for giving us the tools to help heal ourselves and our lives!